021 of 106. 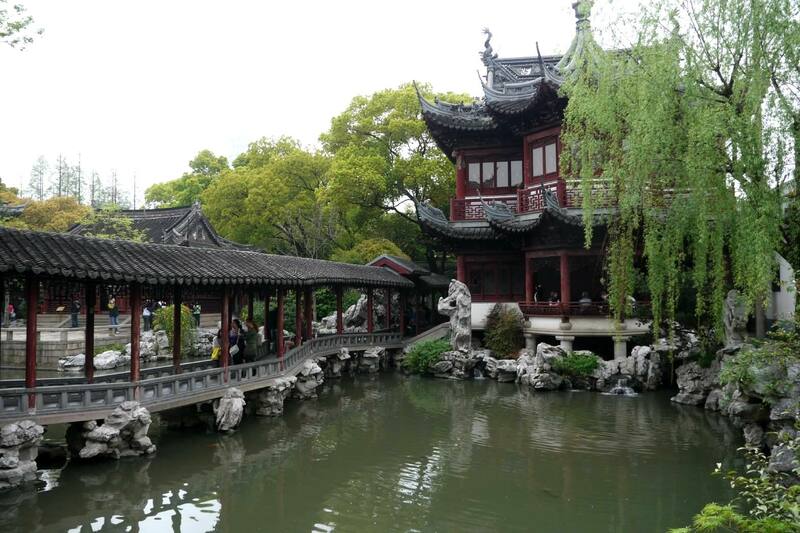 Yuyuan Garden, built during the Ming Dynasty by the high-ranking government official Pan Yunduan. The Gardens' total area occupies approximately five acres, and features pavilions, ponds, rockeries, cloisters, and streams all within six scenic zones, including the Sansui Hall and Wanhua Chamber. In existence for 400 years, the Gardens were specifically constructed for Pan's aging parents as a sanctuary in which to live out their lives.